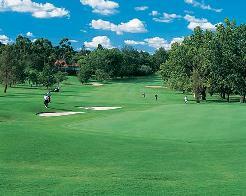 Randpark Golf Club has two very distinct but different golf courses and offers golfers of varying ability an unforgettable experience on two of the best manicured courses Gauteng has to offer - the Randpark course and the Windsor Park course. 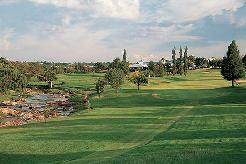 Host to the 1995 and 2000 SA Opens, the Randpark course is among the top championship courses in the country. At 7050m from the championship tees, this course is the second longest course in SA and throws out a challenge to all comers to “tame it”. But, perhaps Randpark’s best kept secret is Windsor Park - 18 holes designed by Bob Grimsdell and completed in 1954, Windsor Park is a gem of not one or two, but 18 feature holes characterized by magnificent trees, strategic water features and old-style, traditional, small greens. The two courses together must surely boast one of the best collection of short holes in the country. With a public, two-tiered, floodlit driving range, clubhouse facilities, pro shop, tennis courts, ample parking and security to match, Randpark offers a comprehensive package for members and guests alike. The course has hosted several high profile tournaments over the years - both men’s and women’s. Local amateur golfing bodies have also used the course as a worthy golfing examination. 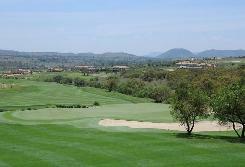 Most significantly, it has been chosen as a venue for two South African Open Championships in 1995 and 2000. Windsor Park is a hugely appealing course to play -– it is not easy but its demands are not beyond the reaches of average golfers. The layout is blessed by being heavily treed. It is the trees, which more than any other factor dictate the playing strategy at Windsor. It is a very attractive golf course indeed, planted with enough evergreens to avoid ever looking bleak, and in autumn, is very striking. As with every good parkland facility, a watercourse runs through Windsor Park, flanking some holes but contributing more to the course’s aesthetic than to its challenge.